Silence is more powerful than words. 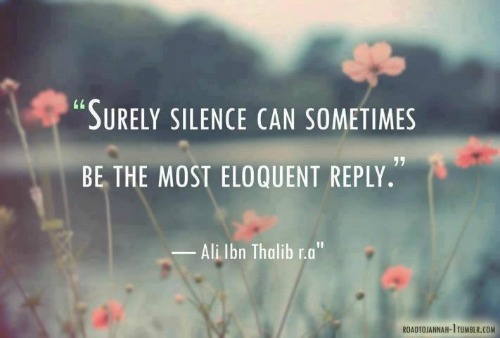 Yes, when the silence is meaningful. Silence is meaningful when we are reflecting or when we are listening to another. It is often the most empathetic response. It can also be the best course to take when an argument is spiraling out of control. Great meaning in your blog today. So, I won’t say another thing. Take what you will from my silence. I love silence. As an introvert it’s the “place” I go to recharge and meet with my Maker. As one of your readers also said, it’s the crucial key to hear what my children have to tell me. And it’s so necessary to good health. Thanks for this reminder, Corinne. Have a great week ahead! Love the story 🙂 I wish I could be more silent. 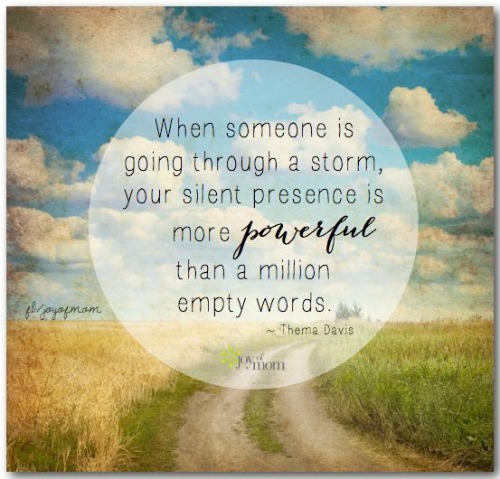 Looking back, I can think of times/situations when my silence would have been a much better response than my words. But then I suppose, that’s how we learn best – by making mistakes! And some of us need to make many mistakes before the lesson is truly imbibed 🙂 Thanks Corinne for this thought-provoking post. I work with kids and have come to see the immense value in “wait time.” When I ask a question, it’s tough to wait and be silent. Your post reminds me of this. Thank you. I find silence a challenge. But worth working on. Yes, there is great power in just being with someone. Or oneself. I love silence. At the same time, silence can also kill. It must be used judiciously. Thank you for this morning’s thought, corrinne! You can learn a lot by being silent. Some of the people that are considered great conversationalists are the ones that are silent 80% of the time. Ask a meaningful question and then be silent until it is answered. You don’t need to give your own personal examples of the conversation. Silence is golden and I just love the silence and being alone with my thoughts. Interesting story. 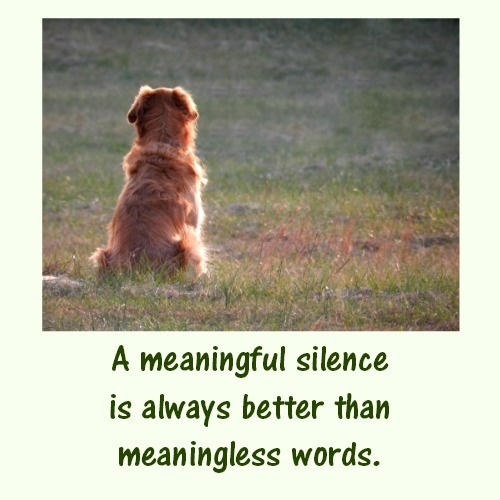 Even though silence is more powerful than an empty talk, it is difficult to remain silent for a long time.